London's weather continues dark, and nights are drawing in more, but there are rewards. Jon, who writes a wonderful quirky blog from Tennessee, has sometimes posted about the Victorian night-painter Atkinson Grimshaw but I don't recollect that Grimshaw ever applied his gothic skills to St. Pancras, above. It is one of the Borough of Camden's architectural gems, which we passed on the way back from the Old Queens Head in Islington. He should have painted it, I thought, as I snapped this photo though the windscreen. 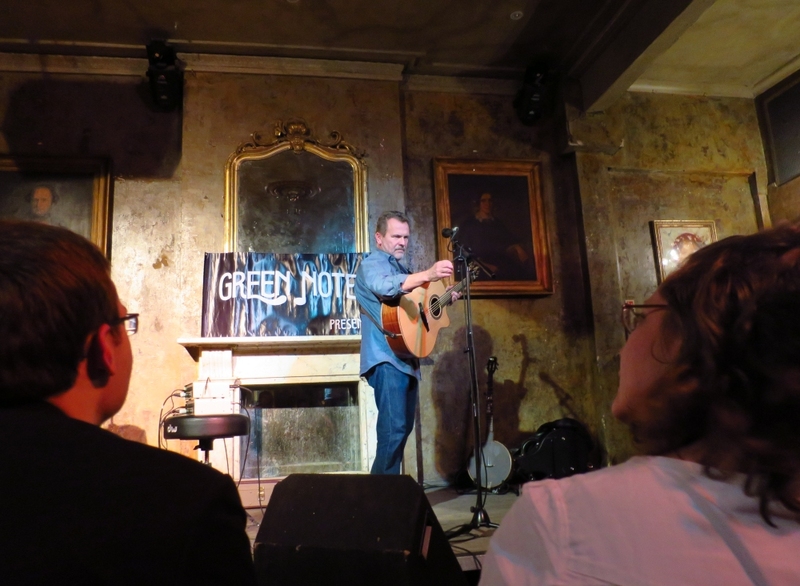 We'd met N. at the Old Queens Head to see the folk guitarist Martin Simpson. It is a very popular pub with lots of atmosphere, but if I said the decor of the Bell was weird in my last post, it was nothing on the Old Queen's Head. It is like a stage set, and represents a decaying Victorian hostelry, I suppose, though parts of this fireplace look hundreds of years older. Note the antler chandelier. The gig was up a flight of battered narrow stairs, apparently papered with the remains of old and hideous wallpaper, plastered over and peeling off. Then N. pointed out that the design included the Gherkin office building (top left) and someone being mugged. The paper is new. Martin Simpson is a phenomenal folk guitarist and wonderful raconteur. Although I am not a particular fan of the type of music he sings, I enjoyed the evening a lot, and the gig was packed. 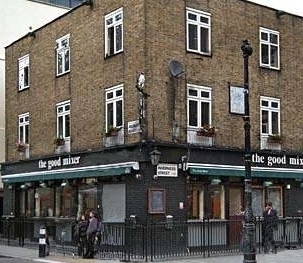 The Green Note (in the picture) which presented him, is actually a small music venue in Camden Town, which features many original and interesting singers. It is in Parkway, and coincidentally that area is right by the locations of two movies I also saw. Parkway adjoins Gloucester Crescent, the setting for "The Lady with The Van" (an amazing Oscar-worthy performance from Maggie Smith). It's based on a true story of how a homeless woman parked her derelict van in Alan Bennett (the playwright)'s front garden in 1974 and stayed for 15 years. It is a touching, clever film with stunning sets and costumes. I have a friend who used to live in Gloucester Crescent and she said that they all tried to be sympathetic to her, but the smell and fuss was sometimes hard to deal with - and when the film company moved their old van into the same driveway, there was initially a frisson of panic amongst the residents who remembered her! The other movie, "Amy," was a documentary partly filmed in Inverness St, which runs into Gloucester Crescent. It chillingly conveys how destructive fame can be. Tony Bennett said in the film that she should have been cherished, to help her blossom as one of the world's great jazz singers - but as we know, that didn't happen, and she was exploited instead. I thought my daughter, who watched the movie with me, had seemed a bit emotional during the film. After, she told me that when she was a teenager she'd hung out with Amy and several other people who appeared in the film, including Amy's boyfriend/husband, at the Good Mixer pub. If she mentioned them then, I hadn't known, probably because Amy was just another singer in those days. She said Amy was unpretentious and fun, but she mixed with some screwed up people. She said she once asked Amy's boyfriend if he thought he was a psychopath. Not because of what ultimately happened with Amy, (that was still in the future.) He said "Yes, I think I'm probably a psychopath." Hm. Anyway, seeing these faces from her youth in such a harrowing film had shaken her up. It got me thinking. I had quite an interesting youth but somehow never managed to mix with anyone who became well known - not even the lady in the van, in the days when she was there and I used to live just 10 minutes walk from Gloucester Crescent myself! Labels: Alan Bennett, Amy Winehouse, Camden, GLoucester Crescent, Lady in the Van, Martin Simpson, Old Queens Head. When I was working in London I used to like going out into the wet evening streets,so full of light...that photograph brought it all back. Something nice about London in December, so long as you don't get the dead bit between Christmas and New Year! Wonderful pub with a fireplace for day dreaming. I had never heard of Martin Simpson before, but now I'm listening to his music. Our library has a number of his songs free for downloading - I may get some. Thanks for the tip! Fascinating, Jenny. I love the way you really live in London. You explore it, make use of all its wealth of places to go and things to see and you enjoy what London has to offer socially too. If you ever want to change places one day, let me know! Amy's is a tragic story, isn't it? I never mixed with anyone famous when I was young. I left London when I was fourteen and was a student in Bournemouth, and then after that came South Africa. That's where life became interesting for me! A lovely post, anyway. I must look up Martin Simpson. Now I;m off to Google Atkinson Grimshaw. Thanks for bringing to my attention an artist I've yet to experience. Yes, Rita, it sounds as if you had an incredibly memorable youth and I am still hoping you will write more about it, because I would really love to hear more! Happy Christmas! I'd like to see "The Lady in the Van"....Maggie Smith and Alex Jennings were guests on "The Graham Norton Show" a little while ago promoting the movie (and talking about other things). It was a wonderful segment...of course. One can't imagine how foul that van must have smelled...considering the lady in question, Miss Shepherd, had very questionable habits...that were all performed in the van!!! Amy Winehouse was a unique talent...it is a pity her grasp on life was so fragile; she was vulnerable and so easily succumbed to the temptations and those who selfishly, callously took advantage. Yes, I think that disposing of waste must be one of the main problems of living in a van in someone's front yard! She doesn't sound a thoughtful guest! As for Amy, I suppose a tough exterior masked a very sensitive creative person. There would have been more to it than that, I guess she must have felt rootless too. Grimshaw has long been one of my very favorite artists and St. Pancras would indeed have been a perfect inspiration for him. Actually, there have been numerous photos on your blog in the past that have reminded me of Grimshaw paintings. It's very interesting that your daughter knew Amy Winehouse. I haven't seen the documentary, but it must have been quite unnerving for your daughter to watch. 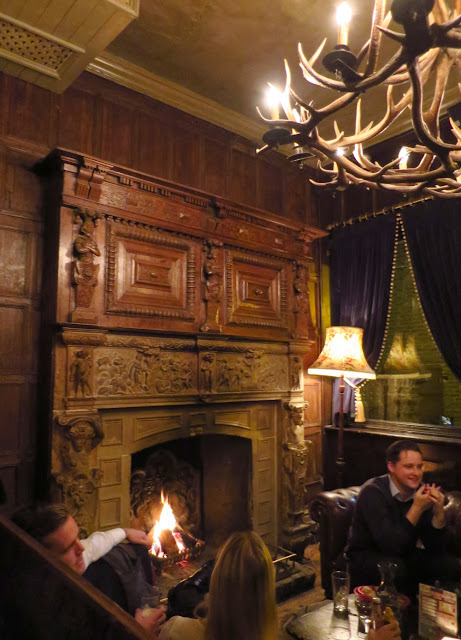 I love that massive fireplace at Old Queen's Head - - but I have to agree that the wallpaper is absolutely hideous (not to mention strange). I wonder who had the nerve to design it? You have done a couple of posts on Grimshaw I think. The fireplace is really special, I think it must be an original old one (older than the building, so perhaps imported at a later date. We, of course, are having your same weather and I think it is misery! Same as last year and the year before, on it goes, when will I get it that I should travel south in the winter... I do love wall paper with a sense of humor but the antlers lack any humor at all, They are probably resin made in China (?) Sounds like a very nice night out. So sorry for your daughter and her friends, Amy so fragile...Sad girl. This was fascinating to read. I don't know what I found more interesting... the strange wallpaper, the comments from local residents about the lady in the van or the fact that your daughter met Amy! Thank you Wendy! Sorry I have been delayed replying to your post. I hope you have a lovely Christmas! I'm glad you know of him. The place was packed with fans! I saw a review of the film The Lady with the Van. It's a must see, methinks. As for Amy, I felt sorry for her. She must have been a very unhappy person, yet you didn't detect that in her singing. I suppose singing was self expression, till it was commercialised so much ... pretty heartbreaking to think of it being taken from her. Sadly no famous people in my circle, although I did go to school with the children of a well-known actor. 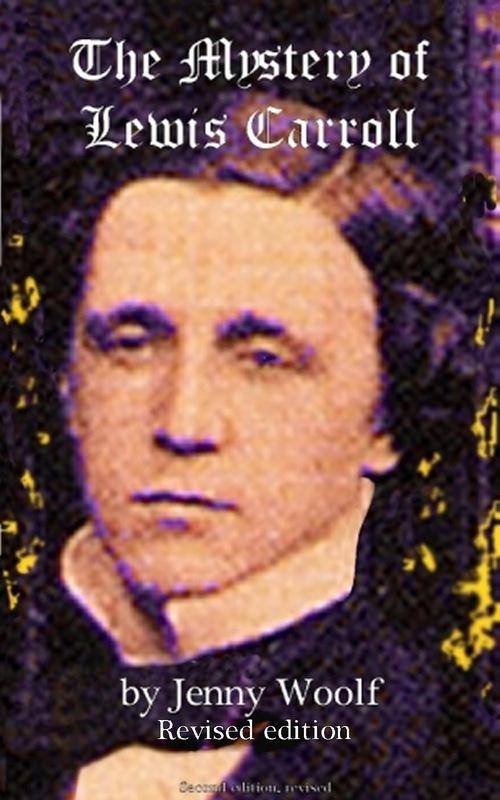 When I read the name "Atkinson Grimshaw" at the beginning of your post, I knew I'd come across hiim before. And sure enough, he was a Yorkshire man and painted Scarborough several times. That must be where I've seen prints (or maybe even an original in one of the museums) of his works. The evening at the pub sounds great. I'm not a fan of folk music, either, but when it is played live - and played well! -, I will listen to and enjoy nearly any type of music, even stuff I would never buy a CD of. The wallpaper has the kind of quirkiness I like! This is a fascinating post Jenny, and I would have loved to be with you at all these things -- the concert, the two films. Amy was here last summer, although it didn't stick around very long and I was traveling a lot. What a sad story -- I can see why your daughter was affected by the film. Now I'm thinking! I guess a couple of kids from my high school became very well known in business and I was in classes with them, though not particularly close -- they probably wouldn't even remember me. Although my baby sitter's brother became a famous actor (Timothy Busfield, he was on a series called thirtysomething and in some films). But I never knew him. Hmmm. Gotta keep thinking! We know you, that's fame enough! Nope, I didn't really mix with anyone that anyone would know. A girl in my sixth-grade class was on Hee Haw once...and another girl in fifth grade got to spend the night at the White House...but that was all while I knew them. Taylor Swift graduated from my high school (Hendersonville High)...20+ years after I graduated from there, so I don't think that counts! I am in awe of Gothic architecture. I love Amy and listen to her music all of the time. She is the one that really got me interested in jazz. Her life was a tragic mess. Den and I often talk about how some people are so gifted in one area of their lives and in every other area they barely function. I can't wait to see The Lady in the Van. I love Maggie. I feel for your daughter. I haven't seen Amy but my wife and I liked her music. I still think her debut album was one of the better British records I'd heard for a long time. 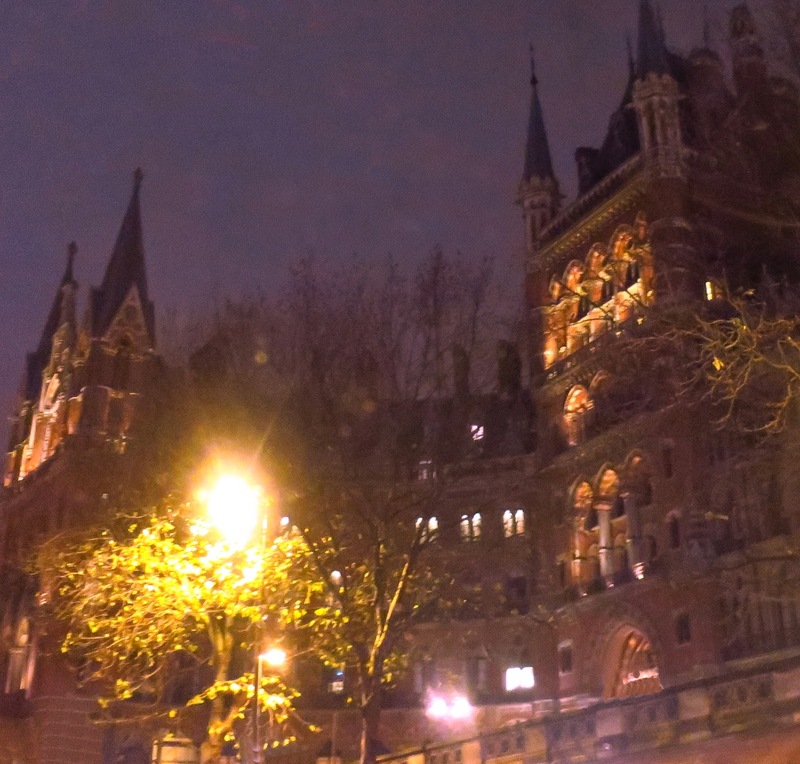 I don't think I have ever seen St Pancras, and doesn't it look beautiful, especially at night. 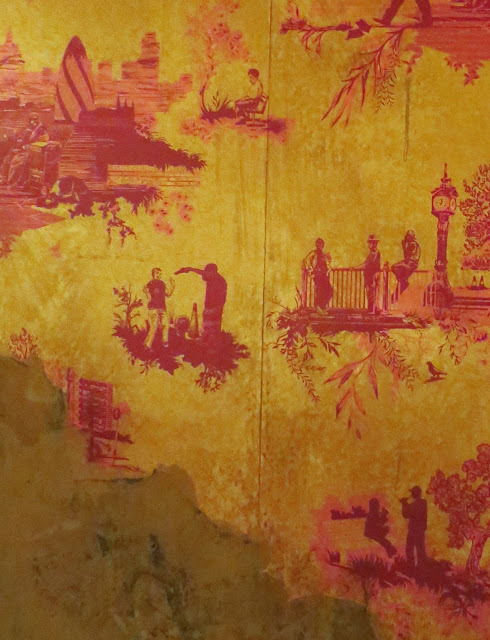 And I love that wallpaper - looks like an old-fashioned toile, and there is the modern city in there! Wonderful. 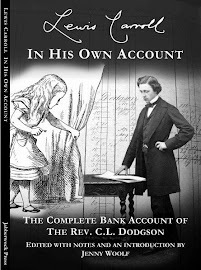 Very few people ever make it internationally, I sometimes notice that reading other peoples blogs when they expect me to have heard of someone whose name is entirely new to me. I don't think I would like to be internatinoally famous at all! I used to go to Gloucester Crescent a lot during the same period the lady in the van was there, as I worked for a bookshop that used the Old Piano Factory. Strangely, I never saw any sign of the Lady. Amy Winehouse's death is one of the worst tragedies of the last few years. She was so incredibly talented but as you say she was ruthlessly exploited by people who never valued her as a person and she was overwhelmed by the fame machine - and by the drugs pushed at her by the loathsome Blake Fielder-Civil. I personally think "Frank" is one of the great albums of all time. It is funny how many people lived in that area of London at one time. (see Friko's comment below, and also Adullamite used to live round the corner from me) I suspect it was mostly the residents of the area who knew her, since they would have passed her every day. Yes, I think she might have made it through the darkness if only she had been able to hold on a bit longer, but it doesn't sound like she had any proper support from anyone close. Still, who am I to say? Love that photo of St. Pancras at night! I'll have to check out The Lady in the Van. Your photos make me long to return to London, along with the comment you left on my blog re. Fleet Street. Thanks so much. A pleasure. I enjoy your blog! Your post was fascinating. Thanks for sharing. I wonder if we ever met in Camden Town? I lived in the area for many years, and spent a lot of my non-respectable years there, as well as my respectable ones later. Did you see Bennett and co. in the market out doing their vegetable shopping? Oh, why did we leave? Of course; I know why; and I probably wouldn't be able to cope with the noise and dirt now. But, golly, I enjoyed my time there. That lighting was something else. And I love the fireplace. Never knew anyone famous growing up. I do remember Mick Jagger before he spoke the way he does now ... which just goes to show how old I am ! This is strange, I have tried 3 times to reply to this post but it never seems to happen. Fourth time lucky. I only said that I thought he must have been a very middle class young man ! I probably would've had a wilder and turbulent youth if not for the fact that I was safely stashed in a boarding school in my youth. Even then, I managed some mischief. A very interesting post, Jenny and great to know more about the van lady. I'm dying to see the film! Well worth it, beautifully made. You have such interesting outings. I enjoy everything you post pictures of as they are things I will never see in person. I kind of like that tattered wallpaper. Not that I'd want to live with it but interesting to look at. Yes, it was quite pleasing, actually! If I ever get to your part of the world, I hope that we get to hang out while I'm there. You always have such interesting outings. I'm just now beginning to appreciate older architecture, so I love that you included some here. That's interesting about "The Woman in the Van." Did you ever meet her yourself since you lived so close by? Another blogger friend of mine saw the movie recently and talked about how much she enjoyed it. Oh wow, interesting too that Amy's former boyfriend thought that he might be psychotic. I'm not sure if I was that I would ever admit to it, lol. I never got to meet anyone famous. Well, I have met a couple of famous bands but I can't say that I know them. Our meeting was like 10 seconds long and I'm sure they forgot about me just as quickly since they meet so many people. It's too bad Amy had such a sad ending. When she died, a friend of mine went on and on about her which was odd because I didn't think she probably even knew who Amy was. I'd certainly heard of her and her music, but they didn't play her much at all on the radio stations where I live. And the friend who commented on it didn't listen to the kind of music Amy played. I'd like to see that movie sometime. No, I never met her myself, and not sure it would have been a great experience as she sometimes seemed to be a bit angry. How known does one have to be to be "well" known? It's relative. I mean, much to my surprise ("Hey, I know that name. It's... It's.. That blog...")I saw you on telly once. St Pancras never fails to press the nostalgia button with me, taking me back to the days when I lived in Camden. The pub looks so nice and atmospheric and I like the antique fireplace. Your words “antler chandelier” turned my attention to the chandelier and I smiled to agree that it looks like being made of antlers. I understand your daughter got emotional. So sad to see old friend fall from grace. I think I don’t have any celebrities of the similar age from my hometown, but when I heard of a tragic death of my old friend in the earthquake, my heart ached to that news. It really is made of antlers, Yoko - there was a fashion for this in the 19th century! In my post of today (19 Dec) I write about a carol with memories.